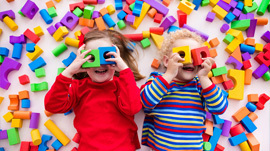 Childcare is one of the toughest decisions parents have to make. Come visit us for a tour – and see why parents (and children!) choose The First Path Day Care Center! 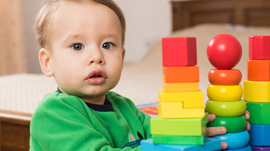 Why Choose First Path Day Care Center? Stimulating and educational programs; an enriching and fun atmosphere; supportive and individualized care; a safe, clean, and dependable environment–So many great reasons, and more! Education that centers around experiences and excitement is the best way for a child to learn. 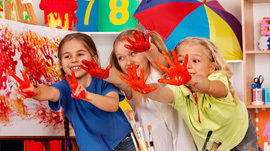 Our primary objective is and has always been to enrich and enhance the life of every child. From Infants to Pre-K, we provide a joyful, enriching, and supportive environment for all the children entrusted to our care. Much care and thought has gone into the planning of the space and overall program at our school. Children are excited to be here and look forward to the new adventures they encounter on a daily basis. Within this unique setting, their natural curiosities are challenged. The First Path Day Care Center is a wonderful place for children to grow because it affords an opportunity to develop and thrive in a creative, caring environment. It is here on our web site that you will learn our philosophy, the 5 main reasons why we are the premier choice for you and your child, and of course all about our enriching programs! Thank you for your interest in the First Path Day Care Center! We look forward to meeting you and your child!